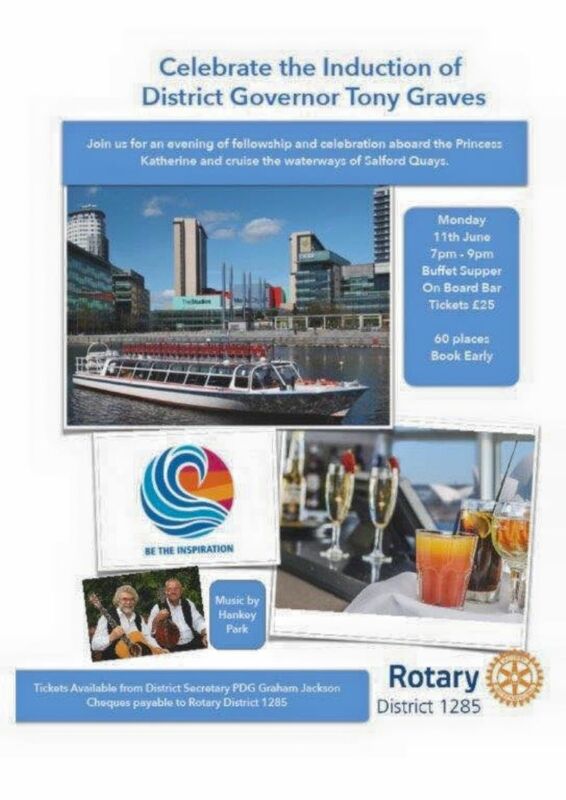 Join us for an evening cruise through Salford Quays. Tickets £25pp from district secretary Graham Jackson. Only 60 places - book early to avoid disappointment.